Memorial donations may be made to Herriman Chapel Church of God (Holiness) for a special project in Marilyn’s memory. Donations may be left at Bland-Hackleman Funeral Home. Marilyn Isabell Yick, age 80, of Branson, Missouri, left us too soon on April 23, 2017. She was born November 2, 1936, to Elmer C. and Noval L. (Bland) Worthington at Caplinger Mills, Missouri. She was a sunflower to everyone she touched. Marilyn graduated from Kearny high school in San Diego, CA, and earned her Bachelor’s Degree from National University in San Diego in 1984. Marilyn had two children, Joseph and Carol with her first husband Joseph Cloren. Later, she moved to Los Angeles, CA, where she met and married Lincoln Yick. They recently celebrated their 43rd wedding anniversary. Together Marilyn and Lincoln, along with her children, Joseph and Carol, lived in Covina, CA. After retirement from the State of California in Sacramento, Marilyn and Lincoln embarked on their RV adventures for the next ten years, crisscrossing the United States and Canada, always meeting with family and new friends along the way. They loved the freedom and time to explore and visit all the places they had on their bucket list. Marilyn was the navigator who set the course, and Lincoln made sure they arrived safely and enjoyed their creature comforts. On the road, Marilyn always kept in touch with family and friends and always shared their adventures with us. On their extended road trips, Marilyn was always sure to find a place of worship on Sunday. Branson, MO, was their home for the past eleven years. Marilyn brought those she loved together and truly cared about what was going on with each and every one. Her leadership skills and loving heart made organizing the annual Bland Family Reunion a labor of love. She always made them fun with activities that brought cousins and family members together. Marilyn enjoyed basketball, casinos, going to church, and helping others in need. Preceding Marilyn in death were her loving parents. 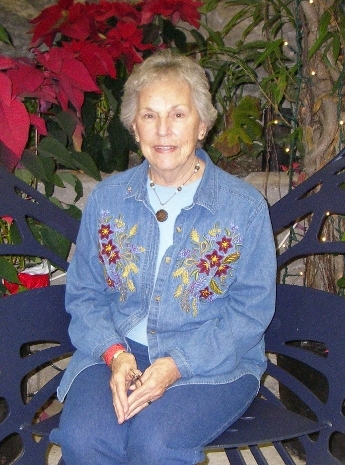 Marilyn is survived by her loving husband, Lincoln; two children, Joseph Cloren and Carol Parker; five grandchildren: Nicholas Cloren, Cole Cloren, Stacy Greene, Danielle Mooney, and Allison Somuk; three great-grandchildren; two sisters, Norma Barrett and Marcele See; and one brother, Cecil Worthington. Marilyn will be remembered and loved most as a caring, loving, and fun wife, mother, grandmother, aunt, cousin, and friend to all who knew her; she was a pillar of strength with an overwhelming presence of compassion and care. Marilyn will be dearly missed for her strength, grace, and infectious smile; she leaves a gaping hole in our hearts. She will be remembered as a class act and a one-of-a-kind lady. May you rest in peace our dear Marilyn. Memorial services for Marilyn Yick were held Sunday, April 30, 2017, at 3:00 p.m. at Bland-Hackleman Funeral Home with Rev. Brent Bland officiating. Disposition was by inurnment.